This is a really fast recipe that has very few ingredients but is loaded with flavor! Serve with rice, steamed veggies and/or a salad to complete the meal. In a large frying pan or skillet, warm olive oil over low heat. Add garlic and sauté until tender. 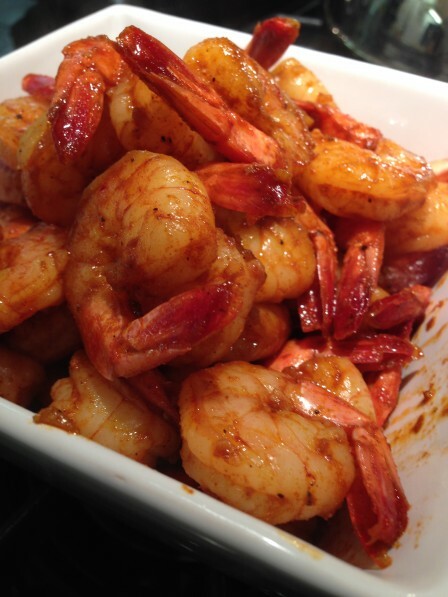 Turn up the heat to medium high and add the shrimp, salt, pepper, cumin, and paprika, and cook and stir the shrimp until they turn pink and the pan is sizzling hot (approximately 5 minutes or more). Garnish with chopped parsley and enjoy right away!